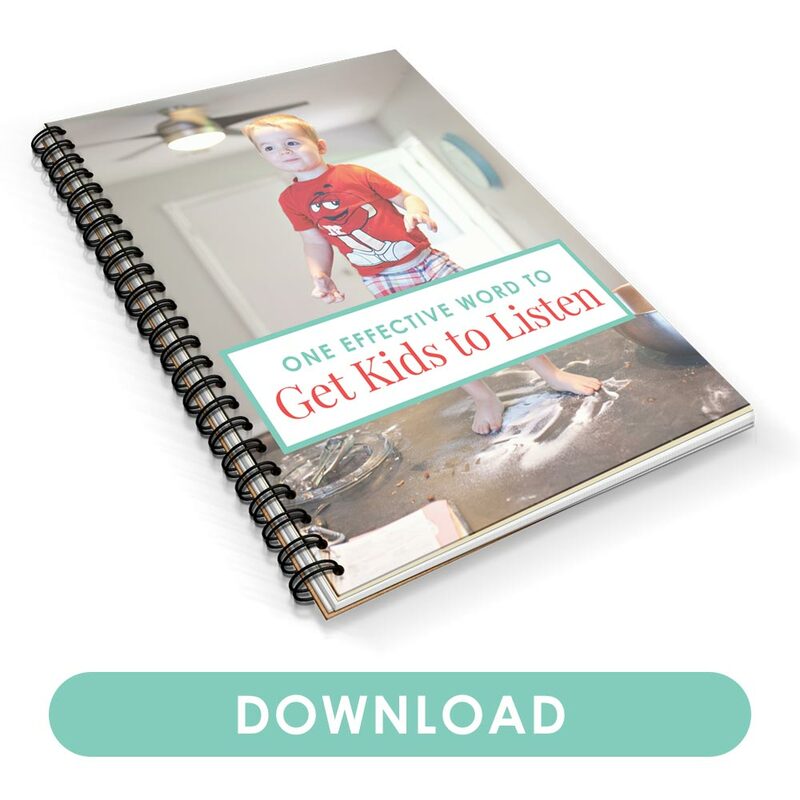 Tired of hearing your child whine all the time? Encourage her to communicate better! 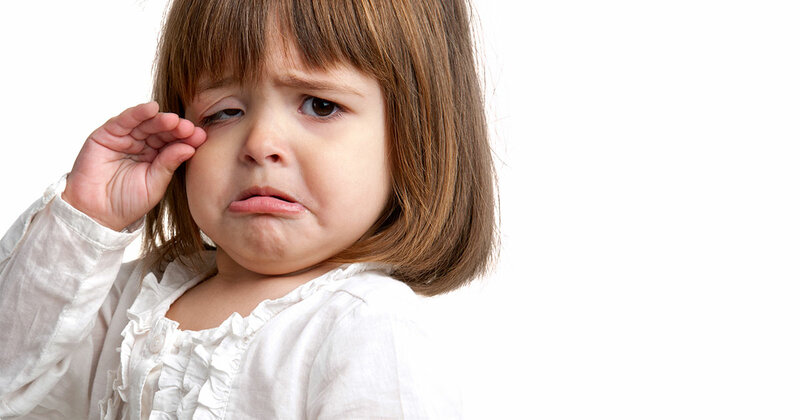 Here are practical tips on how to stop your child from whining and speak politely. Whining is near the top of my “things that annoy me” list. It’s one of the triggers that makes me lose my temper. My kids will say, “Want waaaaatteeerr…” before I have to remind them that they’re whining. And whining isn’t a way of speaking I’d want my kids to grow up doing. Imagine hearing that all the time! Except when you say ‘stop whining!’ they just keep doing it. Telling your child to stop isn’t effective. And no parent is immune. I have yet to hear of anyone say their child doesn’t whine at all. So, how do we lessen the whining? The answer is two-part. We need to teach kids to know that whining is unacceptable, and we need to give them an alternative. Below are seven tips on stopping your child from whining. Your child keeps whining for more milk, never mind that you know she’s just doing so because she’s cranky. As simple as it may seem to hand her a glass of milk and stop the whining already, don’t. You don’t want to respond with a “Fine, already!” mentality. And it’s okay if you changed your mind and want to give her milk. You’re not caving in if you realized she was thirsty or hungry, even if she was whining about it. But make your response intentional and explain why you changed your mind. But if you’re tempted to give in just to stop the whining, find another way to do so. Giving in each time she whines teaches her that whining is an effective way of getting what she wants. Your child may just be whining about something simple like not wanting to get down from the high chair. Or he might have underlying reasons, from feeling tired to not knowing how to deal with his emotions. All my kids have done nonstop whining where they sound like a broken record. They’ll repeat the same phrase over and over, in that whining tone. I try to remind myself there might be something beneath the whining. I review his day. Has he had any significant changes like a bad night of sleep or attending a boisterous family party? These little things add up, and kids express them in ways they know how to, including whining. Before brushing aside your child’s whining, address potential reasons causing it. “You seem tired,” you might say. You remind yourself he’s not whining to be irritating. And instead, you help him identify the reasons he’s whining. Point out that whining is not how you and the rest of your family speak to one another. And assuming you’d be okay with giving your child what she wants, ask her to say it in a nicer way. Give her an example of how to do so if need be. 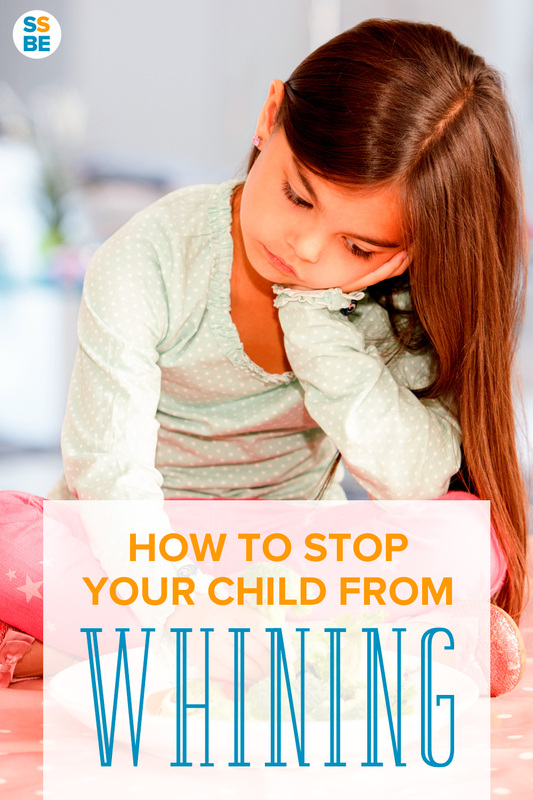 Whining is usually your child’s frustration at her inability to communicate. Encourage your child to show you how to say it differently. This can calm her down enough to understand what it is she’s trying to say. Find different ways for your child to communicate the same requests. Have her show you what she wants or modeling the polite way to say it. I’ve always been a fan of labeling children’s emotions. No matter how annoying whining may be, address the emotions that hide behind it. Your child could feel upset, tired, hungry or anxious. Label these emotions for her so you’re able to teach her how to best identify them. 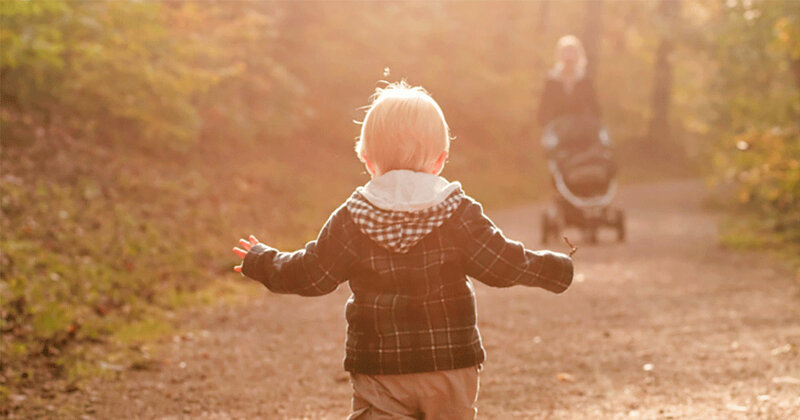 If possible, redirect your child to a similar activity or item that meets her needs. Let’s say she’s whining about waiting in line. Get more tips about redirection. SSBE reader Alexandra suggests a great tip: Tell your child you can’t understand what she’s saying. I’ve been doing this with my kids and it works wonders. When your child whines, tell her you can’t understand what she’s saying, even if you can sort of tell. You’re forcing her to speak correctly and not rely on whining to get her point across. And hold your ground—don’t give her what she’s asking for unless she speaks correctly. No parent enjoys whining. But before getting angry or snapping at your child, you can help your child stop whining and communicate better. Don’t give in to your child’s whining that you enable a bad habit. 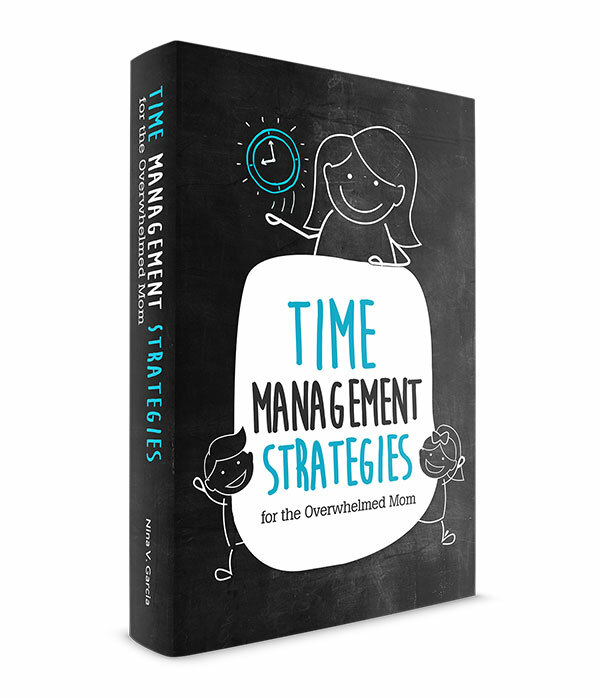 Find underlying reasons your child might be whining and address them. Let her know whining isn’t appropriate. Acknowledge that she’s upset because she’s not getting what she wants. Finally, redirect her to something that can meet her needs and stop the whining. Tell me in the comments: What are your best tips on how to stop your child your child from whining and speak politely? Gee, what don’t they whine about right? But YES to all of your advice like pinpointing the root of the whining (usually frustration here, or being hungry) and then redirecting them to speak politely. Yup Lisa. That nearly always works for me. I call them out on their whining and encourage them to say it better. Ugh, whining definitely makes me lose my temper. And it never leads to a good conclusion if that happens. I’ll have to use these on Des and let you know how it goes! Tamara I’d LOVE to hear an update on how it worked with Des! 🙂 Keep me posted. We say “try again” when our kids whine. They know (through lots and lots and lots of practice) that means to they need to change their tone of voice and ask/talk nicely. I love it Steph! For us, it’s “You’re whining” and they know to change it up if they want us to do something. Whining is at the top of what sets me off. I’ve heard myself say, “Whining makes me yell!” far too often. My kids are definitely old enough to communicate what they want/need w/o whining, so I tell them, truthfully, that I can’t understand what they’re saying. It forces them to speak normally. I just need to work on not yelling. Of course, if they stop whining, it will be a win-win! Haha Betsy I do the same where I’ll say, “What? Sorry, I didn’t understand you.” I say it normally because it’s true! It’s so true. They just don’t realize it. Whining drives me absolutely bonkers! Our oldest wasn’t too much of a whiner until recently…but it doesn’t always last all that long. L seems to default to whining way too often. I don’t know how many times a day I say ” Don’t whine, please ask nicely”. I’ll definitely have to work harder to assess any underlying issues, like you’ve recommended! Milk – for some reason everyone in our House whines about milk! Thanks for these tips! Haha that’s why I have to have set times for milk. Otherwise they’ll just whine about it lol!